I am beginning 2017 thankful to be alive! dangerously low and I’d need to stay in the hospital until Sunday morning! five kids showed up for Thanksgiving dinner. receive out of state company too. I could not believe how much energy I felt just being alive and thankful. The day was packed with good food and laughter and joy. handle the hurdles and pulled me through the celebratory event. 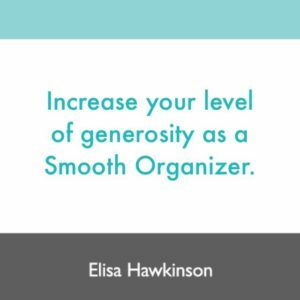 You can definitely increase your level of generosity as a smooth organizer.